Before the 2017 race season, the powers that be in NASCAR decided to overhaul the sport’s rules—like, seismic levels of change here. But they couldn’t leave it alone for more than 11 races, changing the race format for the Coca-Cola 600 on Sunday. And now, they’re considering more rule changes for 2018. The idea to change things yet again appears to have come after the Coke 600, which NASCAR announced a major change to about two weeks before the race took place. Likely looking to curb the, uh, lengthiness of 600 miles on a cookie-cutter race track and the resulting feelings that go along with it, NASCAR added a fourth stage to the race. At the start of the season, NASCAR planned for all of its races to have three stages with points awarded at the end of each. Having four stages did seem to make the race go by more quickly, but it’s hard to tell if that was due to the extra stage or the two-hour rain delay in the middle of it all. Even then, deciding to change things a couple of weeks before the race isn’t the best way to do things. The changes being considered for the 2018 season aren’t a complete overhaul, which is better than it could be considering that NASCAR is pretty rules happy. But according to Motorsport.com, NASCAR executive vice president Steve O’Donnell went on Sirius XM NASCAR after the Coke 600 and said the sanctioning body will look at additional stages and bonus points for future races. Oh, come on. Really? First, we’re told NASCAR will to have segments, overtime and “playoffs” like a real, old-fashioned ball sport—except ball sports don’t change their rules every day—with a far more confusing points system, and now NASCAR could switch things up on us again. The biggest problem with additional points and stages, if they happen, is that some races automatically become worth more than others. Other racing series do that, but the problem with implementing that kind of thing in NASCAR is the existing disparity between race time at different types of tracks on its schedule. Of the 36 points races in the top-level Monster Energy NASCAR Cup Series, 11 are on 1.5-mile ovals like the Coke 600’s Charlotte Motor Speedway. Five of the 10 races that decide the championship in the playoffs are on 1.5-mile ovals, and in the more than 10 years of the playoffs, there has never been a road course. The championship, decided in one race these days, happens on a 1.5-mile oval. NASCAR got so much grief from viewers about the vanilla, 1.5 mile-dominated schedule that the sanctioning body added a road race to the playoffs for 2018, around Charlotte Motor Speedway’s interior roval. That makes three road races for the entire Cup Series season. Here’s where the bonus points and extra stages—which equal more points—come in: If NASCAR wants to make certain races worth more, hitting even an acceptable balance between 1.5-mile dominance and other tracks is not going to be easy and it could open the sport up to more complaints about the schedule. O’Donnell said NASCAR is considering the bonus for its major races, such as the Daytona 500, the Coca-Cola 600, the Brickyard 400 and the Southern 500. Only one of those races occurs on a 1.5-mile track, but none on a road course—the most lacking category on the schedule. 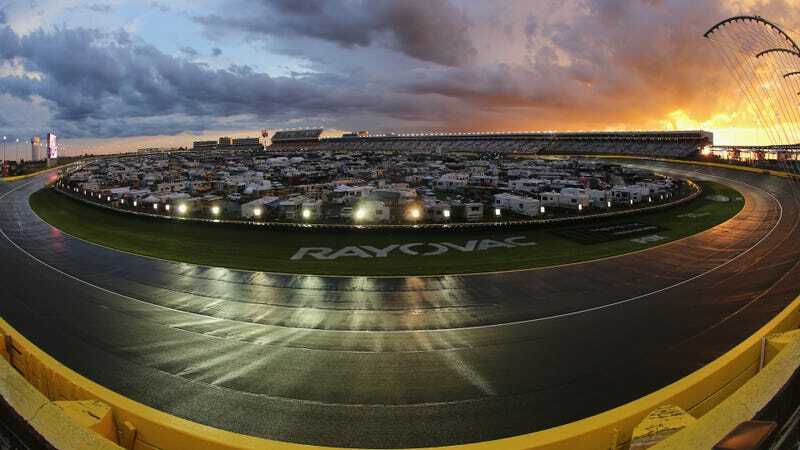 The Coke 600 already got a fourth stage, making a race on a 1.5-mile track worth more points than any of the others when 1.5-mile tracks already decide the title. Even without all of that in mind, it just doesn’t make sense to change the rules so often. If a person—whether an avid or casual fan—tunes in to watch his, her or their football team play, no one wants to have to wonder if there will be five “quarters” or three, or to have to question if a touchdown will be worth six points or nine. It’s confusing, it helps no one and it certainly isn’t welcoming. But NASCAR isn’t a democracy, and we’re all just here to watch how things play out—that is, if we feel like watching them at all.